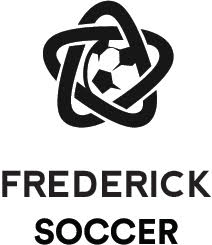 The Frederick County Soccer Club Academy is designed to enhance a player's technical abilities while building passion and confidence in the player on and off the field. Our focus is on player development, and Frederick County Soccer Club feels very strongly that player development allows them to reach their potential. The key to our Academy is ensuring our players always have FUN, growing their passion for the game while developing their soccer skills. What does the development of a player mean at Frederick County Soccer Club? It means we focus on improving ball mastery, creativity, decision-making, soccer intelligence, and athletic abilities, while also focusing on their social development, and sportsmanship. Our development focus develops players into confident and creative players with essential skills such as leadership, respect, and sportsmanship, and great attitudes toward practice and play. In the Academy we use the acronym TIPS to track the development of our young players. T is for Technique.Youth players must be in control of the ball. I is for Insight and Intelligence, or the ability to observe, think ahead, and make smart decisions quickly. P is for Personality, players must be able to communicate with others, provide and receive leadership, be creative, be daring, be receptive to fellow players, and be able to work in a disciplined manner. S is for Speed, which is essential for every player. Speed off the mark, mobility and speed over long distances, but also speed in decision making, in identifying danger, and in identifying opportunity. Communication with parents is also important to us. This means that parents must be kept well informed about what is happening with the development of their child within the Academy, both during the season and at the end of each season. The Academy format will be two 75 minute training days each week. Academy nights will be Tuesdays and Thurdays at Bofinger Field in New Market. We will form teams for game days to provide the players the opportunity to apply the skills they are learning during their training sessions in a game day environment. If you are interested in registering for our academy please go to the Club Registration page or click on the registration link below.